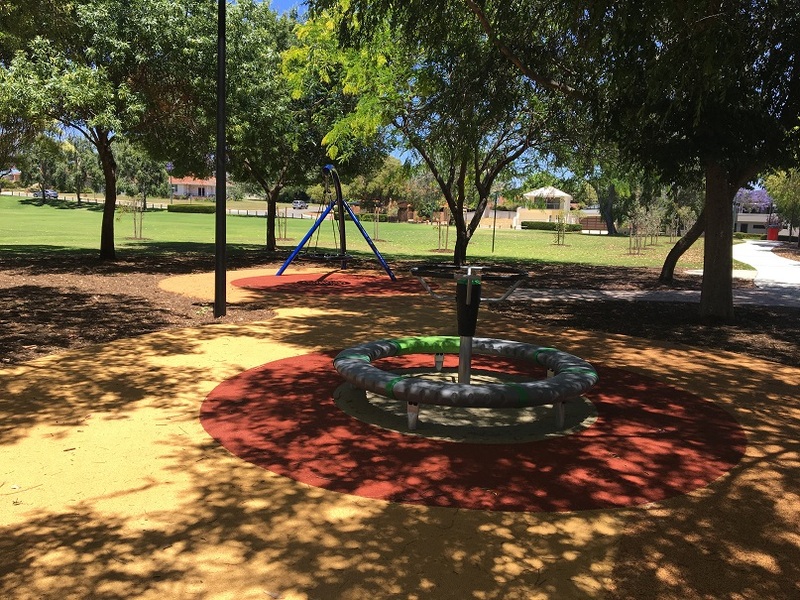 Ernest Johnson Reserve Playground South Perth is most definitely not just for the kids. 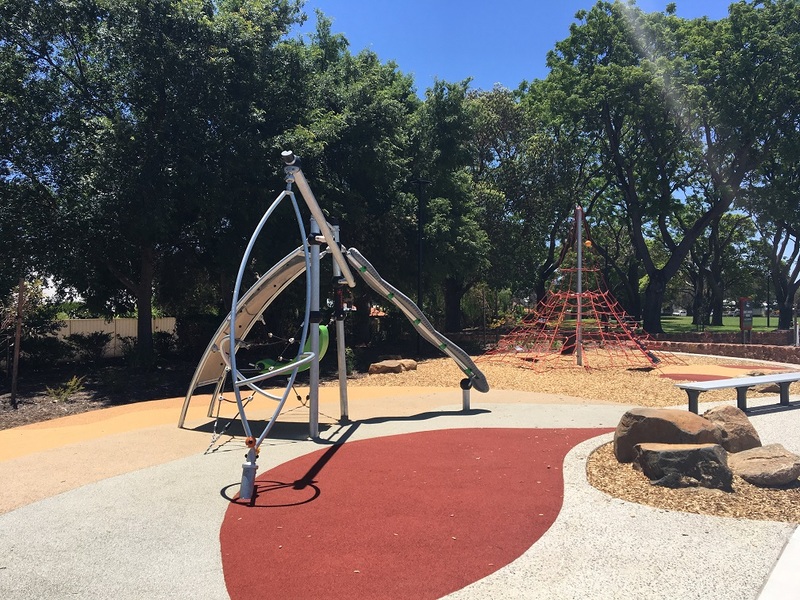 Adults can play here too with a state of the art Kompan Crossfit gym and exercise stations within the playground area! 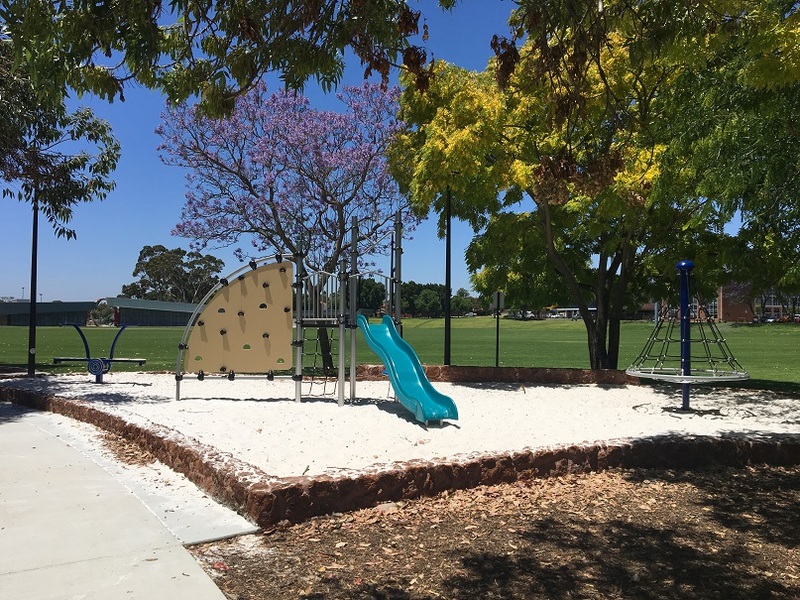 The playground is set out alongside Ernest Johnson Oval, and is a very narrow and long playground that stretches along the far Western edge of the oval, with a pathway that runs along and through it. 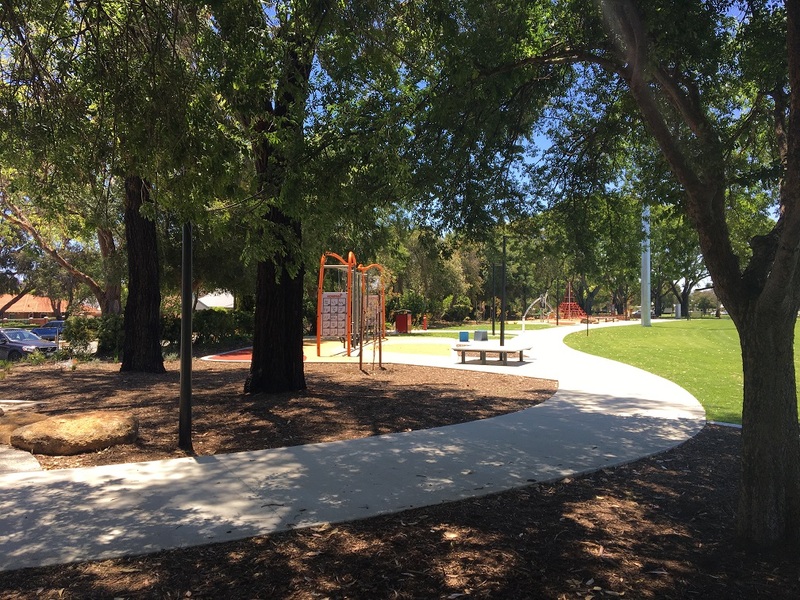 Ernest Johnson Reserve is an off the lead dog exercise area however dogs must be on a lead to wander through the playground area and must not go off the pathway. The narrow nature of the playground allows you to hold your dog on the lead and still supervise children closely. 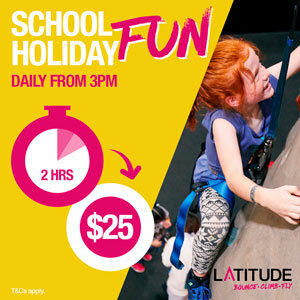 At one end is a climbing net and challenging climbing structure. At this end you can also find the BBQ and seating under lots of natural shade. 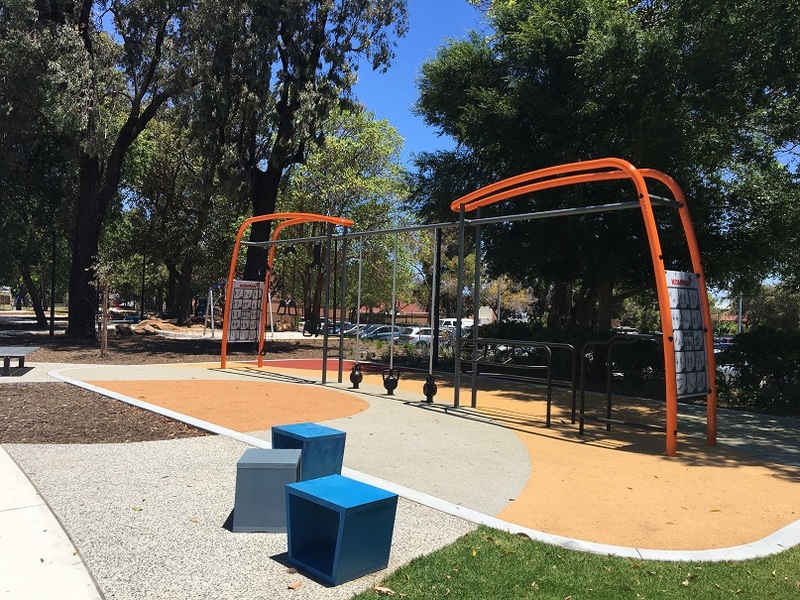 In between the two main play areas is a Kompan outdoor crossfit gym with rings, kettlebells and bars. There are charts with guidance on exercises and a free app you can download too. The kettlebells range from 6kg - 12kg and their are rings at varying heights. The boxes around the playground can be used as seats or are perfect for knocking out a few box jumps or step ups too. Parents will love getting in a work out here and will probably find the kids nagging them to finish "playing" so they can go home. 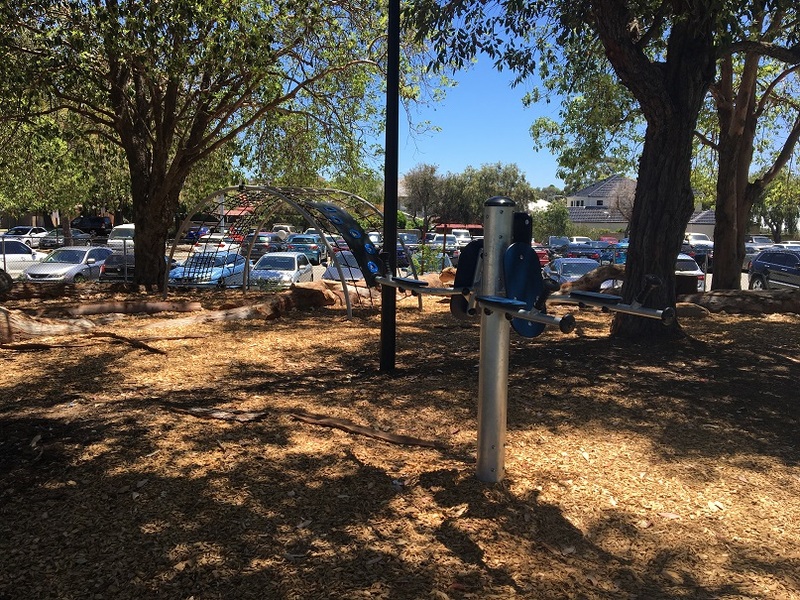 The playground areas on the other side of the Crossfit gym are well shaded and suited to younger children. 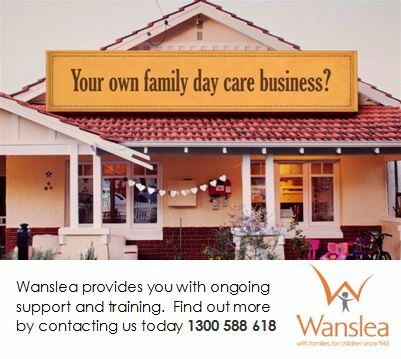 There are lots of different play options. 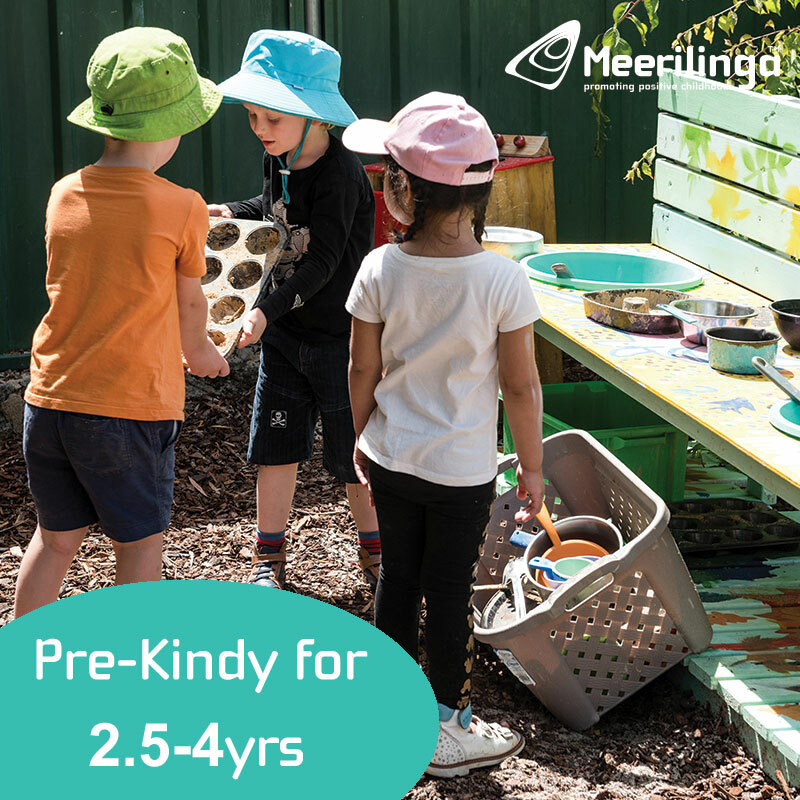 With small play structure, seesaw and mini spinning climbing frame. 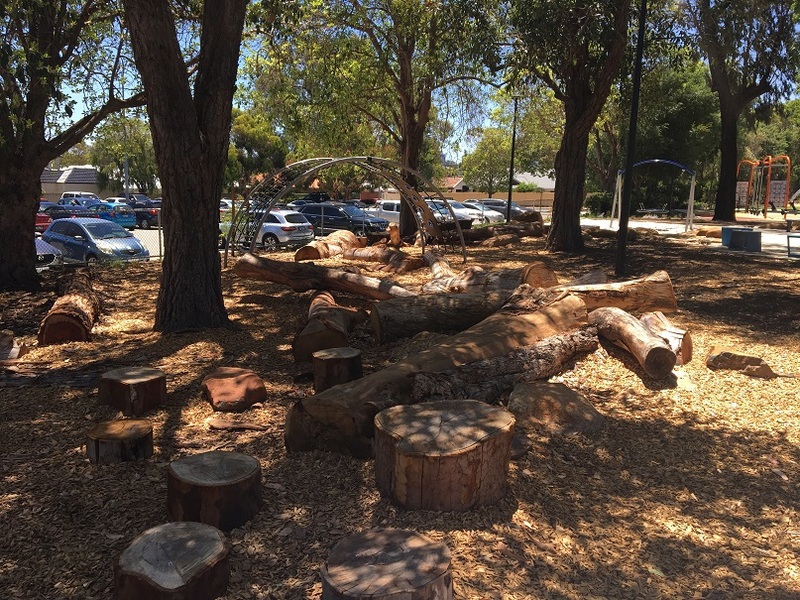 Nature based play with climbing tunnel, swing and exercise stations nearby. And another swing and spinning wheel. 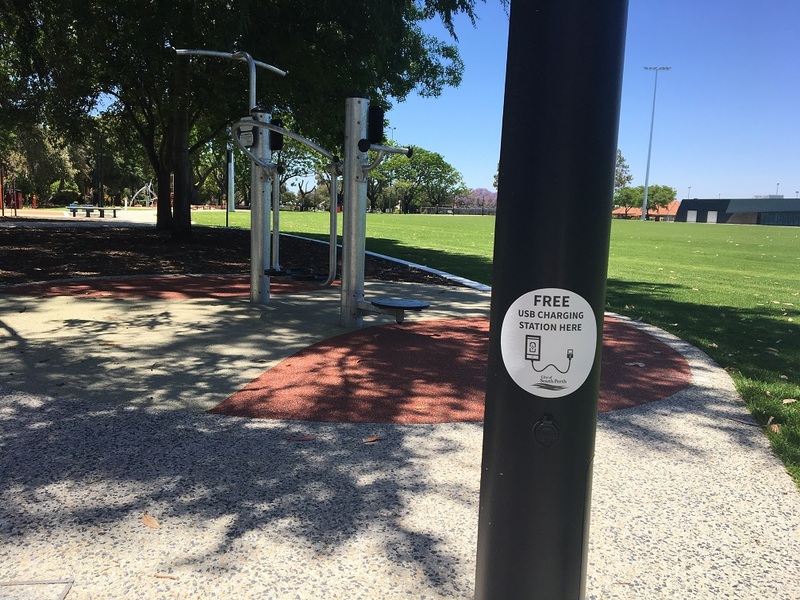 And if your phone is just about to go flat you can also charge it the solar powered USB charging station in the playground. 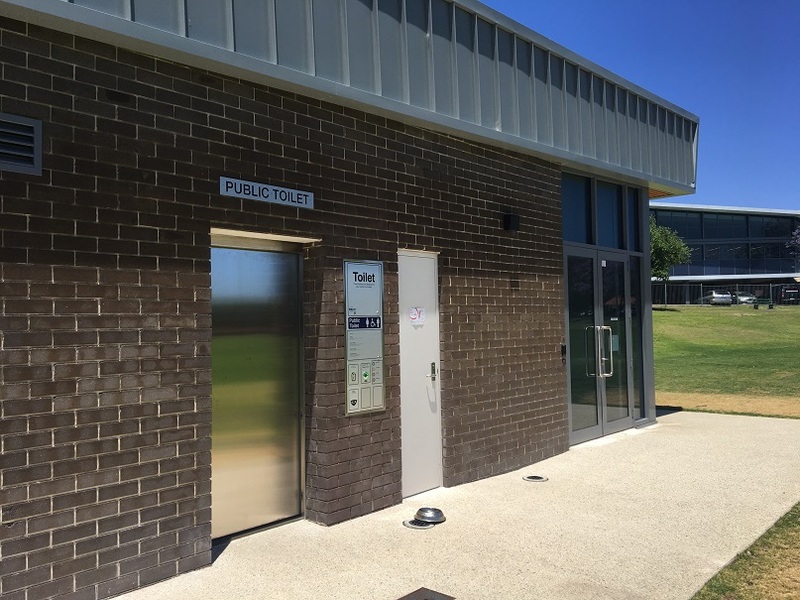 There is lots of room to run around with two large ovals, and an automatic toilet that is open to the public can be found at the clubrooms across from the main oval and the playground. 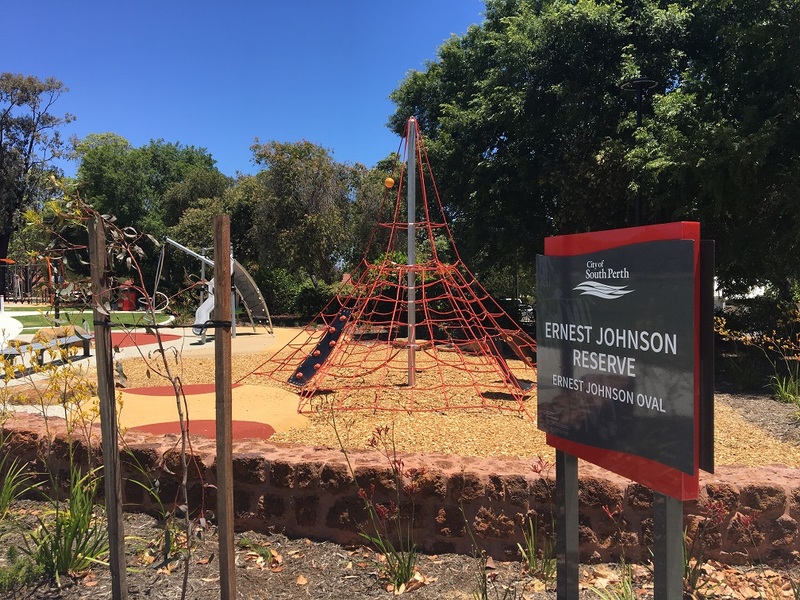 Ernest Johnson Reserve Playground take the term family activity to a whole new level and has obviously been built to encourage the whole family to be active, with challenging play for all ages, a Crossfit gym and exercise stations in the play area. 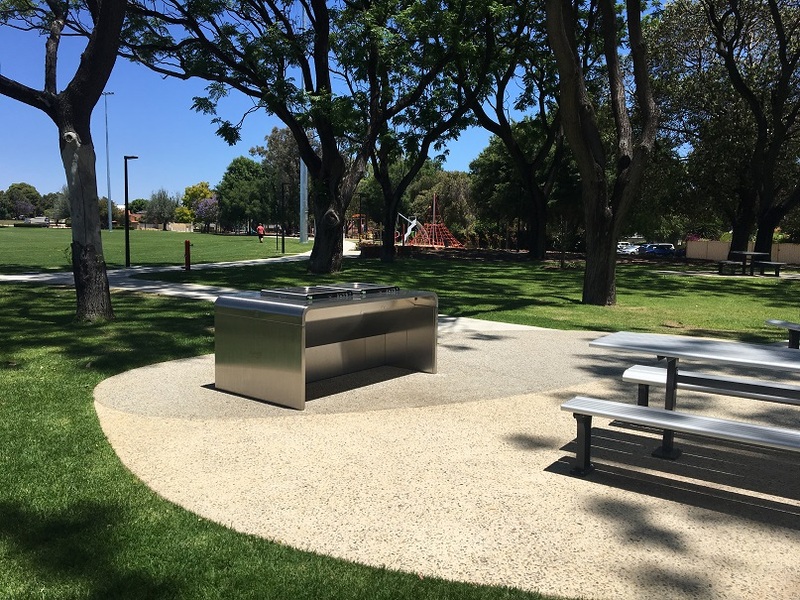 With toilets, BBQs, plenty of parking and lots of natural shade this is a great spot for the whole family to hang out, play and exercise.